It is a TPR activity. Students are in groups of three or four. They need to work together to fill in the missing words in the text. 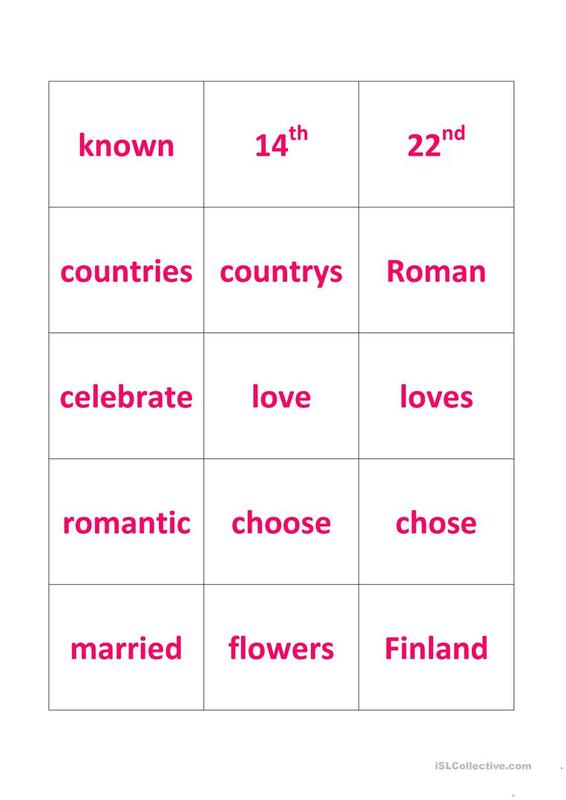 They need to talk about graamr and need to know the meaning of the words to find the suitable word for each line. Word cards are cut out and pilrd on the floor some distance away (10 meters). Student take turns collecting a word and work out where it goes. 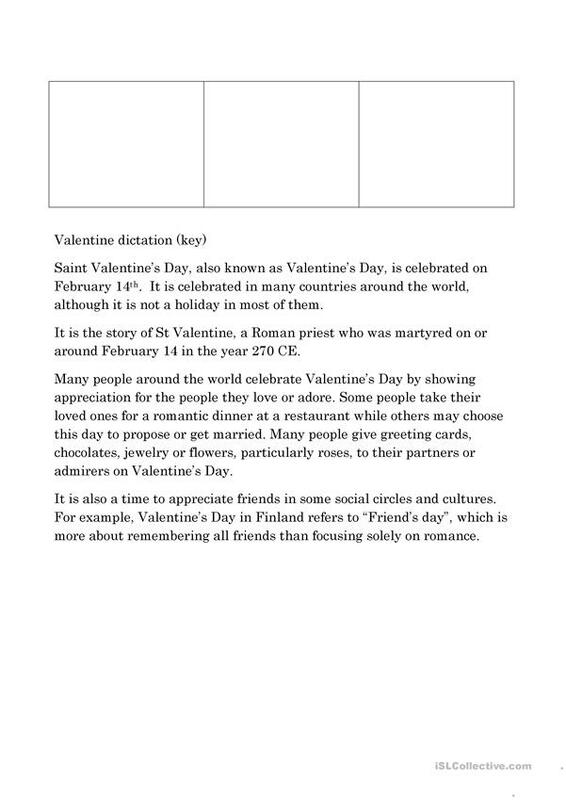 This downloadable handout was created for high school students, elementary school students, adults and students with special educational needs, learning difficulties, e.g. dyslexia at Pre-intermediate (A2), Intermediate (B1), Upper-intermediate (B2) and Advanced (C1) level. It can be used for developing your groups' Speaking, Reading and Writing skills. 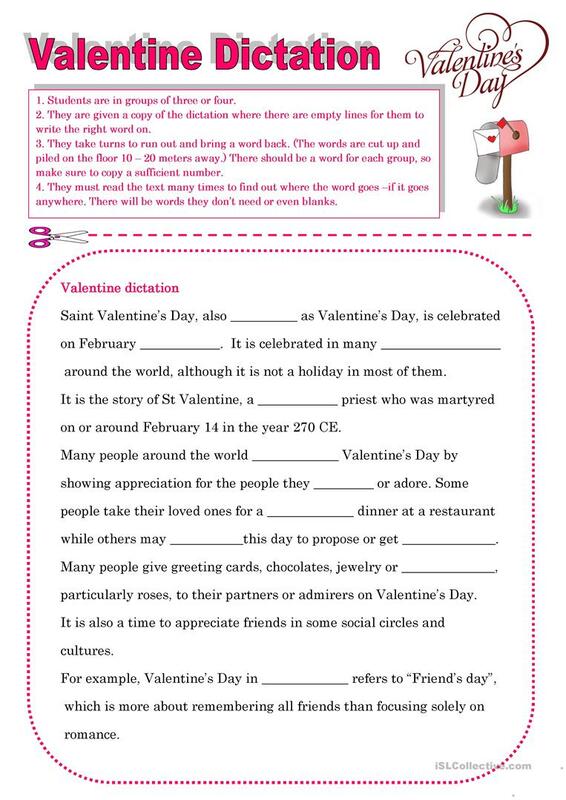 It focuses on the vocabulary topic of Valentine's Day.